There are times when we have huge projects, we are renovating our home or just doing a spring cleaning. But those kinds of projects generate more waste than we usually do and have space for it in the wheelie bin. In those cases, we should choose to use the skip bin service. Skip bins are a good idea for significant rubbish removal and a wide variety of applications like renovation, industrial waste, garden, and commercial. The best thing about the skip bins is that the companies are delivering them to your location and you are saving time, energy and fuel money. You are planning some renovation or a spring cleaning and want to book a skip bin? 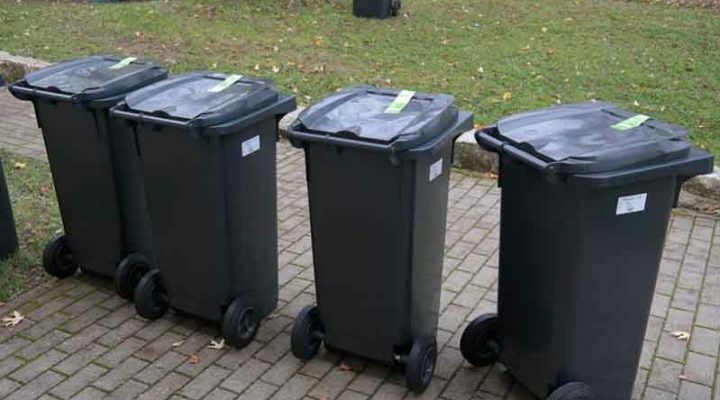 Here are some tips for finding the best bin service. Depending on the nature of your trash, you will find different companies with different services. Some companies don’t dispose of toxic waste or construction waste. The best advice is to find a company that handles all types of wastes, and for sure can offer you a quality service. Do you know the volume of your waste? Most of the suppliers offer skip bins with a size from 2 to 8 cubic meters, while the ones for industrial use are bigger. You have to consider the type of waste you want to get rid of. If you have many kinds of scraps, you should consider hiring multiple smaller bins. A safe choice is to hire a bigger skip bin, so you won’t have to call the company for another container if you generate a significant amount of rubbish. Also, the important thing is that it’s illegal to stuff waste over the rim of the skip bin. The place where the skip bin will stand is an important thing to consider first. Because skip bins are heavy and it is difficult to move them around after they are placed. A careful plan will help you to be efficient. You can keep in mind some things for the best location where you can drop your skip bin. First of all, please be sure that the surface is solid and flat. If it’s not, you can place some wooden blocks to level the ground, you can also find skip bins in Adelaide while searching for it. Second of all, you must be sure that the location of your skip bin is nearby from the place you are removing waste. And the last one, you need to ensure that the truck’s company will have access to your location, for dropping the skip bin. The reputation of the company gives the quality of waste disposal service. It is essential to check the credentials of the skip company if they respect the rules of the land; they follow the procedures, they have licenses to operate and the necessary permissions. Also, don’t forget about other people reviews about the company. You will find many Skip Bin companies with a lower price or the perfect price for your budget. The best thing to do is a price comparison of various companies before choosing one in particular. You can find a company that has affordable services without compromising quality. Terms & Conditions are, and you must check them. You must know if you need to fulfill any conditions, what kind of waste has to go to what place, or if the company has special permits required?